Matthew J. Antonelli is an associate who concentrates his practice in commercial litigation with a particular emphasis on construction and ports and maritime law. 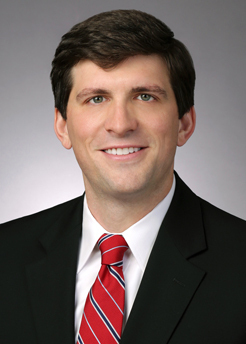 Prior to joining Saul Ewing Arnstein & Lehr, Matthew was a law clerk for the Honorable William C. Mulford, II, Associate Judge for the Circuit Court for Anne Arundel County. During his clerkship, he prepared bench memoranda for the monthly complex civil motions docket and drafted judicial opinions in a variety of civil and criminal matters. Matthew was a summer associate for Saul Ewing Arnstein & Lehr in 2011 where he researched and helped draft legal memoranda relating to Maryland's Consumer Protection Act. In law school, he worked for Legal Aid of North Carolina and in the Forsyth County Office of the Public Defender as a member of the Wake Forest Litigation Clinic.